If you want to have extra privacy and security features in your WhatsApp messenger for Android devices, then GB WhatsApp is the best option for you. GB WhatsApp is the best-modded version of the official WhatsApp messenger for Android devices. Use the GB WhatsApp for best customization and tweaks along with various privacy and security features embedded in the app. In this article, we will talk about disabling the video call feature in the GB WhatsApp on Android devices. We often get annoyed by the sudden video calls from the strangers, as there are no security measures in the official version of the WhatsApp to block it. But don’t worry GB WhatsApp has got you covered with the ability to block video calls in its app. Before this tutorial, we were also shared guide on How to see online friends on GBWhatsApp. Use this following guide to disable video calls on GB WhatsApp for Android devices. Stop the annoying video calls by the help of extra privacy and security features of the GB WhatsApp for Android devices. 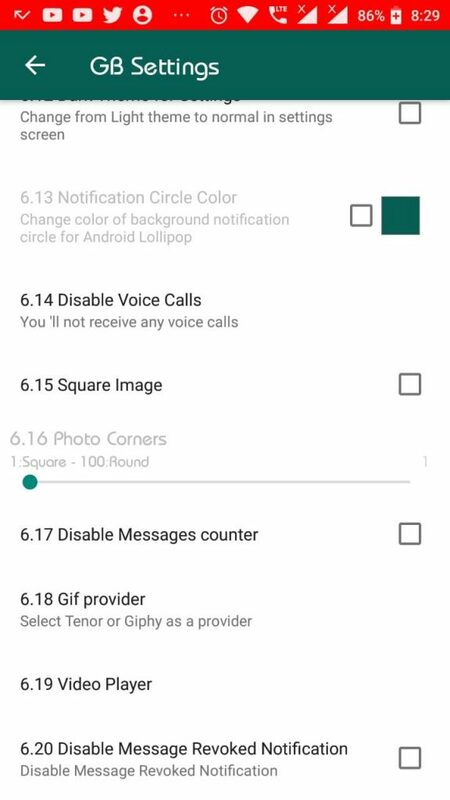 After the GB WhatsApp open up, tap on the three vertical dots to access the settings of the GB WhatsApp for Android devices. Select the GB settings to option from the drop-down menu of the GB WhatsApp on Android devices. On the GB settings Window, scroll down to locate the Other MODS option. 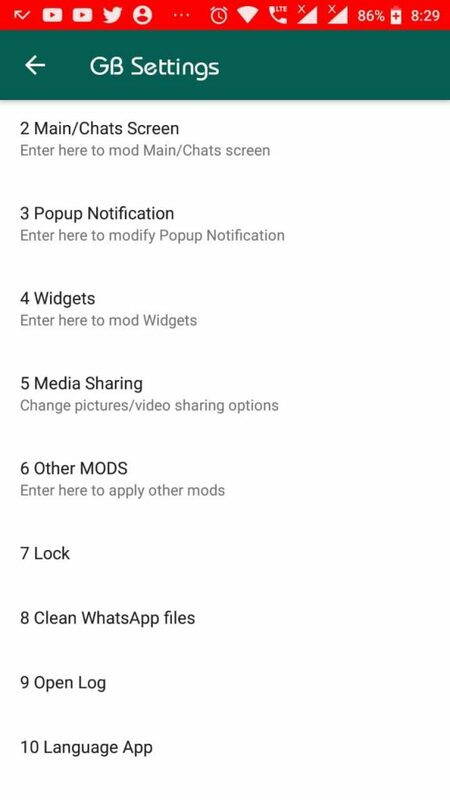 Select the other MODS option to access the extra modification settings on GB WhatsApp for Android devices. On the next window scroll down below to see the disable voice calls option. Select the voice call options to get the popup window. On the popup window, you can either choose a ring to the other user and do not ring to the other user by blocking their calls. 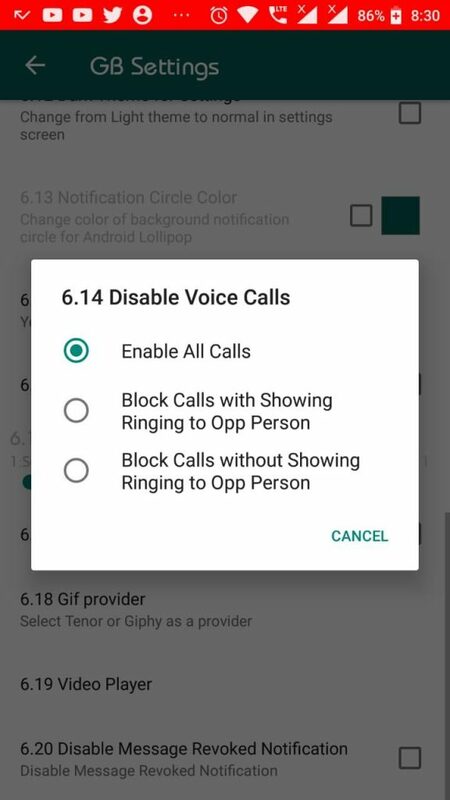 This option basically blocks the audio and video calls on GB WhatsApp for Android devices. Now your voice and video calls are deactivated on GB WhatsApp for Android devices. Remember that you cannot separately deactivate call send video calls, you have to block them together or keep them enabled. You can always enable the voice and video calls my following this following step. Go to GB settings of the GB WhatsApp for Android devices. Now visit the other MODS option and you can select the disable voice call option from there. Now enable the voice calls to activate both audio and video calls again on GB WhatsApp for Android devices. Use the above steps to either visible or enable the audio and video calls on GB WhatsApp for Android devices.